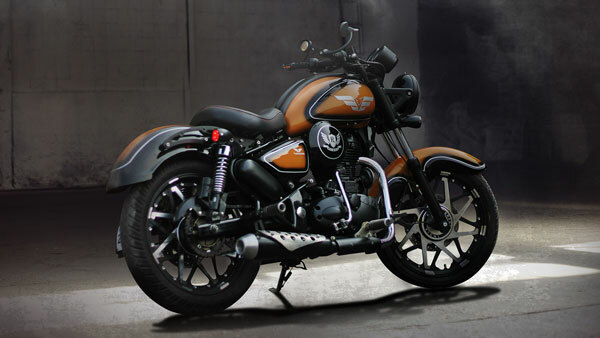 Vardenchi is one of the most well-known companies in the Indian market when it comes to motorcycle design and customisation. Be it designing custom accessories, or redesigning the entire motorcycle, Vardenchi has been the go-to brand for motorcycle enthusiasts seeking premium aesthetic modifications for their motorcycles. Now, Vardenchi has announced that they would be inaugurating their first ‘Lifestyle Garage’ in India on 02 April 2019. The Vardenchi Lifestyle Garage is located at Goregaon (West), Mumbai and according to Vardenchi, will be the perfect place to chill at while the bike and biker get upgraded. The Lifestyle Garage will be the flagship store for Vardenchi and will offer a wide range of bespoke motorcycle upgrade solutions and crafted biker products to enhance a biker’s lifestyle. The products on display and sale will include custom fashion helmets, lifestyle riding gear, t-shirts, hoodies and even shoes. Upgrades for motorcycles are more vivid with Vardenchi selling and fitting safety accessories, lights, seats, guards, luggage carriers, etc. The Lifestyle Garage is at a facility that is spread over 1,000 sq ft and the company has already installed state-of-the-art installation equipment including power tools, scissor lifts, etc. The Vardenchi Lifestyle Garage is going to be a unique place for a biker to hang around at. It will feature an old-school biker atmosphere, especially with the kind of motorcycles being built by them. The profile of Vardenchi includes everything from bobbers, to heavy cruisers and street cruisers. Now, it seems like Vardenchi clients can hang around while their motorcycles are being worked on.